Deganwy is the small intermediate station on the Llandudno branch, located at the mouth of the Conwy estuary. 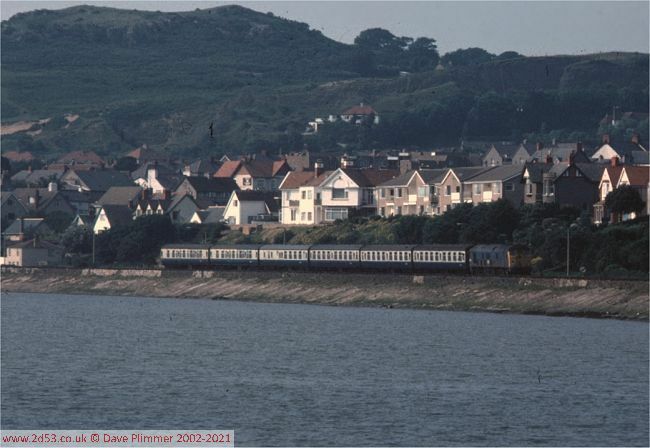 11th February 1978, and a Metro Cammell DMU arrives at Deganwy on a short working from Llandudno Junction to Llandudno. Deganwy signal box (formerly Deganwy No 2) is hidden from view behind the steps to the crossing footbridge. 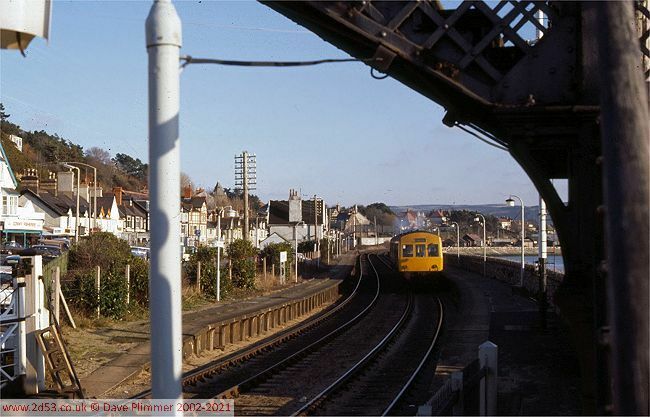 Now removed, the footbridge was of interest as it crossed both railway and road - the road being at an acute angle to the railway. 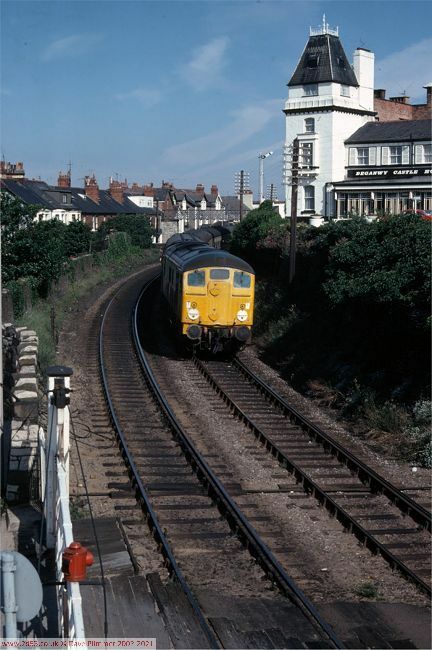 24047 arrives at Deganwy from the opposite direction on the 16:42 from Llandudno to Crewe on the 10th July 1978. In the foreground can be seen the crossing and one of the wooden gates; there were two of these, one on each side of the track, and both were quite large - the one seen here would have been about 20 ft long, and the other about 25ft. The gates have since been replaced by lifting barriers. Two days later 24023 is in charge of the same working, seen between Deganwy and Llandudno Junction, alongside the River Conwy at high tide. 12th July 1978.